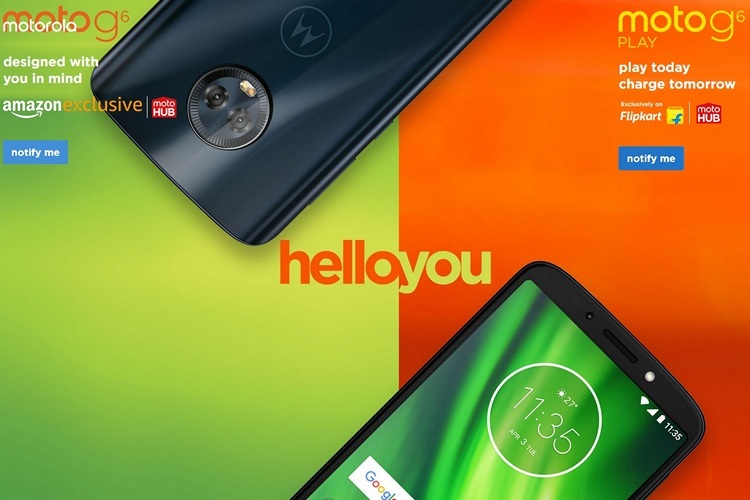 A couple of new mid-range smartphones from Motorola are coming to India on June 4, more than a month after they were launched in Brazil. The company has now officially announced its plans for the Moto G6 and Moto G6 Play after it started teasing their launch in the country last week. 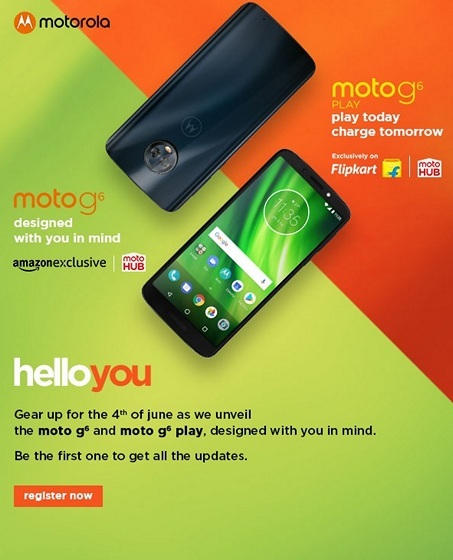 As can be seen from the official Motorola flyer, the Moto G6 will be available exclusively on Amazon, while the Moto G6 Play will be a Flipkart-exclusive. Both phones will also be sold offline at Moto Hubs. It’s worth noting that earlier in the week, an Amazon India listing had confirmed that it will indeed be the exclusive seller for the G6, but it wasn’t immediately clear if the deal will also include the G6 Play. As it turns out, the more affordable of the two devices is actually headed for Flipkart. The company isn’t planning to launch the Moto G6 Plus in India just yet, and there’s no word on whether this high-end model will come to india. In terms of specifications, the Moto G6 features a 5.7-inch FHD+ IPS display with an 18:9 aspect ratio. It is powered by the Snapdragon 450 SoC, and comes with 3/4GB of RAM alongside 32/64GB of internal storage. The device also carries a 3,000mAh battery, and sports a 12MP+5MP dual-camera setup on the back alongside a 5MP selfie camera. The G6 Play, meanwhile, is expected to be even more affordable than the standard G6. It features a similar 5.7-inch 18:9 display, but only with an HD+ resolution. The device is powered by a Qualcomm Snapdragon 430 SoC, and comes with 3GB of RAM and 32GB of internal storage. It carries a massive 4,000mAh battery, and sports a single 13MP camera on the back along with an 8MP camera on the front.